Everingham and Farlie House, Beauly. Hon Joseph Constable Maxwell, Hon Bernard Constable Maxwell, (black coat) Hon William Constable Maxwell, Marmaduke, 11th Baron Herries, Hon Walter Constable Maxwell, Hon John Constable Maxwell (dismounted). The Hon Bernard is wearing black, in respect for his first wife who had died. The Hon John is dismounted, with his arm in a sling. The rich and beautiful vale of the Nith, in Dumfriesshire, through which the river Nith flows, was historically associated with the Maxwells. From a very early period they owned the castle of Caerlaverock, which was the key to the whole of that district. The family also, through its heads and branches, had long possessed large territories on both banks of the Nith, from its mouth where it falls into the Solway Firth, to nearly the source of that river in the parish of Dalmellington, in Ayrshire. Source - Book of Carlaverock. Published in THE SCOTTISH FIELD - March, 1929. The founder of the Maxwell family is said to be a certain Maccus, the son of Undwin, a Saxon noble, who at the time of the Norman Conquest took refuge in Scotland. He was a distinguished person in the reigns of Alexander 1st and David 1st and received from the latter a grant of fertile lands on the banks of the Tweed, near Kelso, to which was given the appellation of Maccuswell, and later shortened into Maxwell, which became the designation of his descendants. Caerlaverock Throughout the Wars of Independence the Maxwells, in company with other Scottish nobles of the Saxon and Anglo-Norman race, repeatedly changed sides. In the year 1300 one, Sir Herbert Maxwell, held the castle of Caerlaverock for the patriotic cause, and was besieged by a strong English army under King Edward. 1, who had eighty seven of the most illustrious barons of England in his host, including knights of Bretagne and Lorraine. But the castle did not fear a siege. Its shape was like that of a shield, in that it had only three sides all round, with a tower in each angle, one of which was a double one, so high, so long and massive, that under it was the gate, with a drawbridge and a sufficiency of other defences. It had good walls and ditches filled to the edge with water, and for scenic beauty the castle and its surroundings stood probably alone, for at once could be seen the Irish Sea towards the west and to the north a fine country surrounded by an arm of the sea, so that no creature born could approach it on two sides without putting themselves in danger of the sea. Towards the south it was not easy, because there were numerous dangerous defiles of wood and marshes and ditches, where the sea is on cub side of it and where the river reaches it; and therefore it was necessary for the host to approach towards the cast, where the hill slopes. The Maxwells, under their gallant chief, made a vigorous defence, showering upon their assailants such heavy missiles that they retired time end again; but in the end the garrison were compelled to surrender, when it was found that there were only sixty men all told, and that they had defied the whole English army for a considerable period. Sir Eustace Maxwell Possession of the castle was subsequently restored to Sir Eustace Maxwell, Sir Herbert's son, who at first embraced the cause of John Baliol, and in 1312 received from Edward Il an allowance of £20 for the more secure keeping of the castle. He afterwards gave in his adherence to Robert Bruce, and his castle, in consequence, underwent a second siege by the English, in which they were unsuccessful. But fearing that this important stronghold might ultimately fall into the hands of the enemy, and enable them to make good their hold on the district, Sir Eustace dismantled the fortress, a service and sacrifice for which he was liberally rewarded by Robert Bruce. Wardens, Stewards, Ambassadors. In the end the Maxwells contrived to be on the winning side, and honours, offices, and estates continued to accumulate in the family. They were Wardens of the West Marches, Stewards of Kirkcudbright, Stewards of Annandale, Ambassadors to England, and Provosts of Edinburgh. They were created Lords of Parliament, with the titles of Baron Maxwell, Baron Harries, Baron Eskdale, and Baron Carlyle, and Earl of Morton and Earl of Nithsdale. They intermarried with the Stewarts, Douglases, Setons, Crichtons, Hamiltons, Herrieses, and other powerful families and spread out their branches on all sides. If the Maxwells had succeeded, like the heads of the great houses of Hamilton, Douglas, and Scott, in retaining possession of the estates which belonged to them in the sixteenth and seventeenth centuries, they would have been among the three or four most extensive landowners in Scotland at the present time. The Lord Herries of the time commanded Queen Mary’s horse at the battle of Langside, and after the defeat conducted her to his own house at Terregles, and he earnestly entreated her not to throw herself on the protection of Queen Elizabeth, of whom he was very suspicious. His advice was not taken, but that he had summed up matters correctly after events showed. The present Duchess of Norfolk, Gwendolen Constable Maxwell, is a niece of the Hon. Mr. Constable Maxwell. 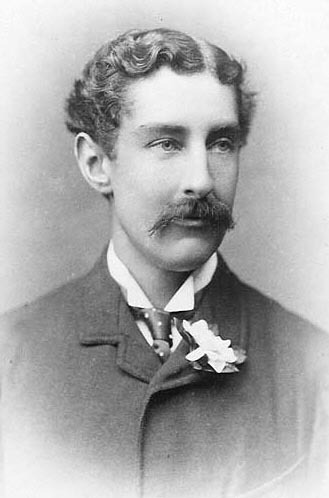 Lord Herries. In the year 1848 an act of Parliament was passed in favour of William Constable, Esq., and all the other descendants of William, fifth Earl of Nithsdale, reversing the forfeiture of that nobleman; and in virtue of that Act, Mr. Constable Maxwell claimed the dignity of Lord Herries as having been originally conferred on heirs general, and ten years later the Committee of Privileges of the House of Lords granted the claim, and in virtue of that decision he became tenth Lord Herries of Terregles, and died in 1876 leaving a family of seven sons and nine daughters, of which the Hon. Bernard Constable Maxwell is the fourth. Hon. Alice Fraser. He married in 1890 the Hon. Alice Fraser, second daughter of the fifteenth Lord Lovat and sister of the present peer. The marriage has been a very happy one, and their family of six sons and six daughters comprise one of the finest families ever reared in a Highland mansion. Every one of them is imbued with the high ideals of their parents, who have every reason to be very proud of them. The eldest son, Ian Simon Joseph, served in the Cameron Highlanders as a captain, and along with Captain Lord Hamish Murray, was in the bodyguard of the late Field-Marshal Haig. He was wounded at the Aisne. He is at present at Pekin and is a B.A. of Oxford. The second son, Ronald, served with distinction as a captain in the Egyptian army, was in the Naval Flying Corps, and mentioned in despatches. Gerald, M.C., D.F.C., A.F.C., served as a captain in the Ist Lovat Scouts and the Royal Air Force, was at the Dardenelles, and brought down no less than thirty-five German aeroplanes. The oldest daughter, Mary Philomena, is the wife of Major Arthur Baxton, D.S.O., who is now on the secretariat of the League of Nations at Geneva. A younger daughter, Oona, married Captain Ronald Foster, who also he, Scottish blood in his veins, as his mother was a. Weyms of Weyms. Her family curiously enough twice intermarried with the Frasers of Lovat in the sixteenth and seventeenth centuries. The unmarried sons and daughters are popular in and around Beauly. Misses Joan and Betty are very fond of sport, and of them are expert salmon anglers, and hold their own with their brothers in coverts, on the rifle ranges, and in many out-door sports. Sporting life. The Hon. Bernard Constable Maxwell is very fond of the Highlands, and resides there at his mansion of Farlie, near Beauly, all the year round, and no better sportsman ever played a salmon, brought down a stag or shot a high pheasant. He has had many good days and performed great feats with gun and rifle, but he speaks of these with the becoming modesty that sits so well on his handsome countenance and his figure, that is still lithe and active, despite the roll of years. His knowledge is wide, his conversation elevating, he adorns his position as the scion of a noble house, and sheds lustre over everything that goes to characterise the perfect Highland gentleman. Public works. The Hon. Mrs. Maxwell, who presides with becoming dignity in Farlie House, has won her way into the hearts and the affections of the people of the Highlands to an extent vouchsafed to few people in our day and generation. And it is not so much because she is a member of the House of Lovat and sister to the present popular head of the Clan Fraser, although that counts also, rather is it because of her own personality and the fact that her birth and lineage are only helpful instruments in her personal desire to use these for the benefit of the community. In and around Beauly, and in fact all over the north of Scotland, the Hon. Mrs. Maxwell is held in very high esteem. Her home ties are many and varied, and while of necessity they must occupy much of her time, she nevertheless continues to give help to every cause having for its object the social advancement of the community. Her presence is in great demand wherever a lead is required in matters that count, and whenever possible she never fails. It is the part they play and the interest they manifest in every family, and in every institution in and around Beauly, that has forged a chain that will linger long and keep green the memory of the Hon. Mr. and Mrs. Constable Maxwell and family with everybody who tries to place things in their true perspective in the bundle of life. ‘It was in the mid 1860s that my grandmother and her mother Mrs Weld Blundell were asked to join Lord and Lady Lovat’s party for the Northern Meeting. Unfortunately, when the gentlemen went stalking after the Balls, up at Braulen, Strathfarrar, the Master of Lovat found that he had sprained his ankle and could not go with them. Instead of stalking, he and Alice Weld Blundell attended Mass at Eskadale and then walked back four miles through rough wooded country, and by the time they got home they were engaged. And my grandfather’s sprained ankle was better too!" Miles, 17th Duke of Norfolk died in 2004 at his home in UK. On the death of his cousin Bernard, 16th Duke, in 1975, son of Gwendoline Constable Maxwell, Miles Francis Stapleton Fitzalan-Howard succeeded to England's oldest dukedom, created in 1483 by King Richard III for John Howard, his loyal supporter in the Wars of the Roses. The dukes of Norfolk are referred to as the premier dukes -the highest rank of peers -because their title is the oldest. Like his predecessors, the 17th duke was earl marshal of England, one of the Great Officers of State, senior members of the royal household. The earl marshal, whose position now is largely ceremonial, is responsible for state ceremonies such as coronations. The 17th duke served in the army for 30 years and retired as a major general, having taken several appointments in the Ministry of Defense, including director of service intelligence in 1966-1967. During World War II, he served in France, North Africa, Sicily and Italy and was awarded the Military Cross for reconnaissance of mined roads on foot under enemy fire. He remarked in later years that "anyone can be Duke of Norfolk, but I'm rather proud of that medal," The Times said in its obituary. To the Queen's Most Excellent Majesty - 12th May 1958. Madam. As your High Sheriff of Leicestershire, may I humbly convey to your Majesty the honour and encouragement you have given to this County; firstly to our University, secondly to our Industry, and thirdly to the children of our countryside on your visit here last Friday. History repeats itself. About 400 years ago, in1573, my ancestor Sir Marmaduke Constable of Everingham Park was High Sheriff for Yorkshire. He entertained Queen Elizabeth at Everingham. This place is still in the family and was my father's old home. It has now been inherited by the Duke of Norfolk, through his mother who was a Maxwell - the daughter and heir to my uncle the late Lord Herries of Everingham Park. It may perhaps also be of interest to your majesty that 400 years previous to that (according to the "Book of Carlaverock") Herbert Maxwell (1130 - 1200) was Sheriff of Taviotdale, and it is probable that his father, called Maccus (1100 - 1150) was Sheriff of Roxburghshire before him, to King David 1st of Scotland.